As one of the most respected cricketers of his generation, Geoff Miller OBE has been there and done it. Playing with and against many of the most talented players in history, he is never short of an amusing story about what went on in touring parties and on the domestic scene – a quality that saw him voted Sporting Speaker of the Year in both 2013 and 2014 and Cricket Speaker of the Year for the past 4 years. A highly respected figure in the after dinner speaking scene, Geoff is sure to have the crowds in raptures at your event and ultimately ensure it is a resounding success for all involved. From corporate events to private functions, sporting dinners and more, Geoff will lead from the front with a plethora of amusing recollections and in depth analysis of the game he loves. In addition to his time at the pinnacle of the professional game, Geoff spent 13 years as an England Selector, five of them in the top job no less, and has an encyclopedic knowledge of the administrative and technical sides of cricket. As a result, your guests will enjoy a truly unique perspective on what goes on behind the scenes with Geoff as your after dinner speaker. 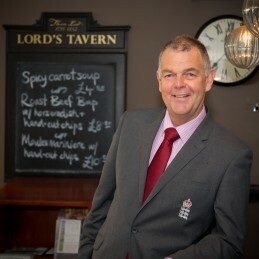 It is no surprise that Geoff leads the field for businesses, event organisers and individuals looking for after dinner cricket speakers to bring knowledge, excitement and enjoyment to the keynote address of their event. With a dry wit, he is a warm and humorous man who mixes little-known anecdotes with impressive insights into all aspects of the game. If you would like your event to benefit from Geoff Miller as its after dinner speaker or to find out more on his availability, get in touch today. Geoff Miller was absolutely fantastic, what a gentleman and a great speaker, very entertaining. I hope Geoff was happy with the hospitality afforded him and the overnight accommodation was ok for him. Saturday was superb , Geoff is hands down one of the best speakers I have ever used , even for non-cricketers his stories were entertaining. He was a real gentleman with everybody.